When I was younger, my grandmother gave me two books, and I don’t think she realized they ended up shaping my career. After reading Outbreak (by Robin Cook) and Level 4: Virus Hunters of the CDC (by Joseph McCormick and Susan Fisher-Hoch), I was hooked on working in public health. After learning more about what public health could do and how to get into it, I chose a career in medicine for a simple reason: I want to work every day to help people live healthy lives. Focusing my career on public health gives me the opportunity to work with a passionate and talented team to help communities and the state to be healthier. What many people often don’t recognize is the impact that public health has on every facet of our daily lives. In the 20th century, public health helped add 25 years to our life expectancy. That is thanks to major public health achievements that today are part of the fabric of our day-to-day activities. Every time you turn the tap of a faucet and drink clean water, that is public health working behind the scenes to make sure the water you drink is safe. Speaking of water, thanks in large part to the fluoridation of community water supplies, there has been a dramatic decline in tooth decay. Again, that is thanks to work of public health. As parents, our number one goal is to ensure our children are safe and healthy. Public health was responsible for the increase in the number of diseases we can immunize against, such as measles, rubella and whooping cough. The positive impact of immunizations has even led to the worldwide eradication of diseases such as smallpox- and, hopefully soon, polio. Children in our communities are also safe when riding in cars thanks to the work of public health to implement motor vehicle safety standards, such as safe car seats. The list of ways that public health affects our everyday lives is long. If you ever need to be in the hospital (and most of us will at some point), the facility will be safe from healthcare associated infections. When you hear about a disease outbreak on the news, such as the Zika virus, disease detectives and scientists within our health departments are working 24 hours a day using cutting edge science to stop the spread of the disease. If your kids go to a childcare center, or you have a family member in a long-term care facility, you can be sure the facility is safe because of our licensing rules. Every year that you get a flu shot that stops you from getting sick, that is public health working for you. And this list goes on and on. 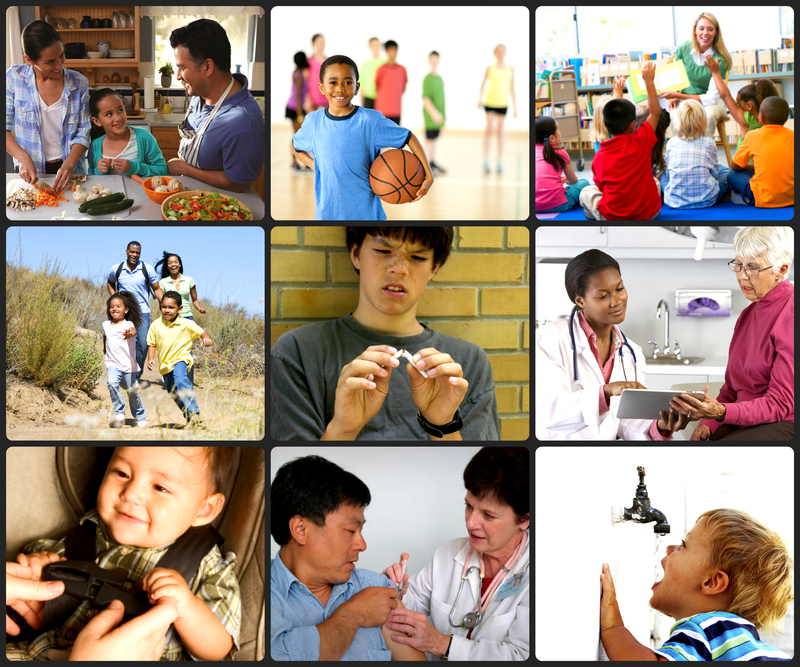 As we move forward, public health will continue to look for ways that we can make our community healthier. For example, each year we see a drop in the number of people smoking in our state. Public health was instrumental in the mid to late 20th century in identifying the many risks associated with smoking. Today we offer help though the ASHLine to anyone who wants to quit smoking. As we provide programs such as the Arizona Nutrition Network to help people eat healthier and be more physically active, public health will help reduce the number of people with diabetes, suffering from heart disease, and developing other chronic diseases associated with being at an unhealthy weight. As you look around your community, remember that we have safe parks, clean air, clean water, safe meals and a healthy environment to raise our families. I am so proud to be a part of Arizona’s strong public health system- because the work we do truly adds value to our state and brings health and wellness to all Arizonans.